Why would someone choose to volunteer their time moderating posts in an online community? Who would use their vacation time to meet with a company to provide product feedback? Every group, whether an online community or a book club, has members that take a more active role in it than others. They may be extra talented, or they may simply be more engaged. But super fans are so much more than their participation levels. They are the members of a community who do more than most members. They’re people like Ricky. Terminology is important as we seek to understand what a Super Fan is. We often talk about fans in sports terms, or even hobby terms. We know there’s football fans or Apple fanboys. But can there be fans of a business, much less Super Fans? Absolutely! Super Fans are actual fans of your brand. People who have a passionate connection to your company, your product, your brand. People who participate in, and more importantly lead, groups of other passionate fans of your brand. You’ve heard these folks described as Super Users, Champions, MVPs. 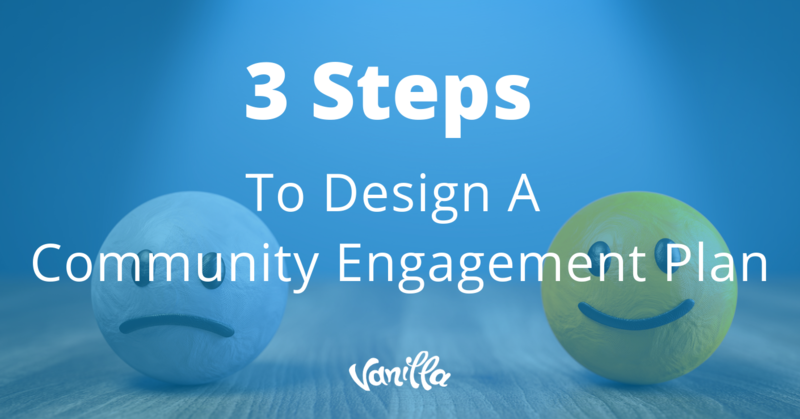 They’re real community members with a real, long-term relationship with your community. Every community is different than the next. Culture, community needs, the shared purpose, and much more all effect the concept of what a Super Fan is for each community. Consumer tech support communities, for instance, are very different than healthcare forums, both in content and in how we conceptualize the idea of a “Super Fans”. 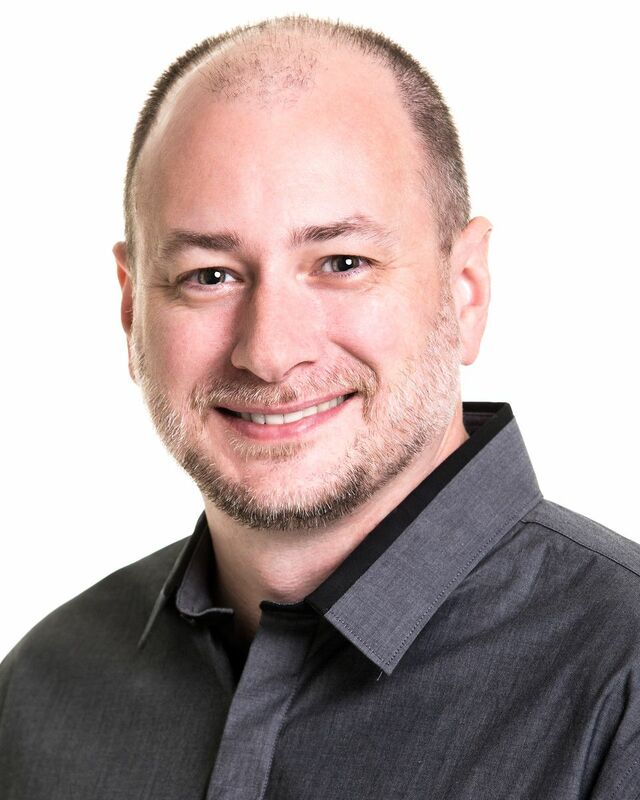 Tech support communities rely heavily on Super Fans because of the transactional nature of the engagement: I need support for a specific thing at a specific time. Super Fans in this environment are motivated by a desire to complete questions that they personally know and can help close out. The fun is often in the trivia-like game. 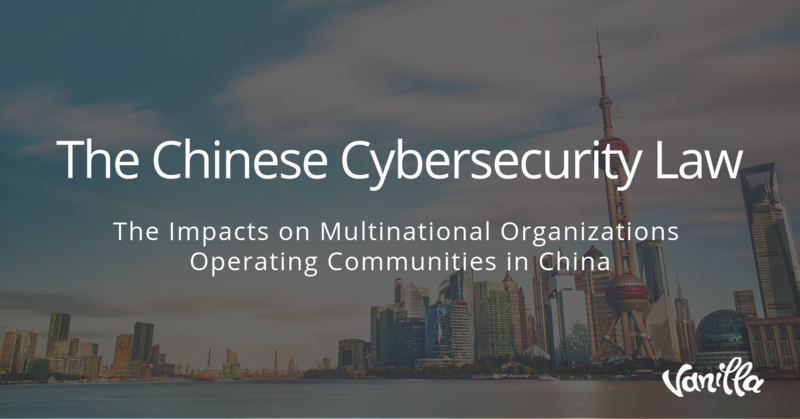 And they are likely to be a very small fraction of the community, frequently with a much different set of motivations than a regular member. They are leaders because of their participation volumes and behavior modeling. When comparing this to a healthcare forum, using the term Super Fan feels almost distasteful. How can you be a “fan” of leukemia? In this case, the Super Fans aren’t fans of the illness, but of the connection and support amongst members. They want to help community members open up, feel safe, and get the emotional (rather than transactional) support they need. They are leaders too. Every social group needs leadership. Leaders, whether we’re talking about CEOs or a community super fans, help drive a group forward. They help directly and indirectly set the vision for how to move the group forward, then support the group to achieve that vision. Super fans are often answering significant numbers of open questions, engaging new members, connecting with your company to provide representative feedback about the community health, and generally modeling behaviors that we want to see replicated by other community members. Super Fans are not “Influencers”. This term refers to members of quid pro quo corporate programs meant to drive word of mouth marketing to products/services from mentions from famous people with existing audiences. An influencer such as Kylie Jenner gets paid to promote a product because she already has an existing audience that will hopefully purchase based on her recommendation. Influencers are not part of a long term relationship, nor are they actual fans of your brand or products. And if the Fyre Festival taught us anything, Influencers cost a ton of money and while they may lead to some short term successes, they aren’t building anything real or sustainable. Super Fans are also not “Advocates”. Advocates may be closer to a super fan than an Influencer, but they tend to also be motivated by personal gain rather a sense of greater good or passion. Advocacy programs (and the advocates in them) tend to encourage participants through achievement-based rewards to spread the word about your product or service. Influencers and Advocates are not community builders. They may have an amazing impact on your business, but they are not building long term relationships with your company, nor are they helping a community grow. You waited long enough! 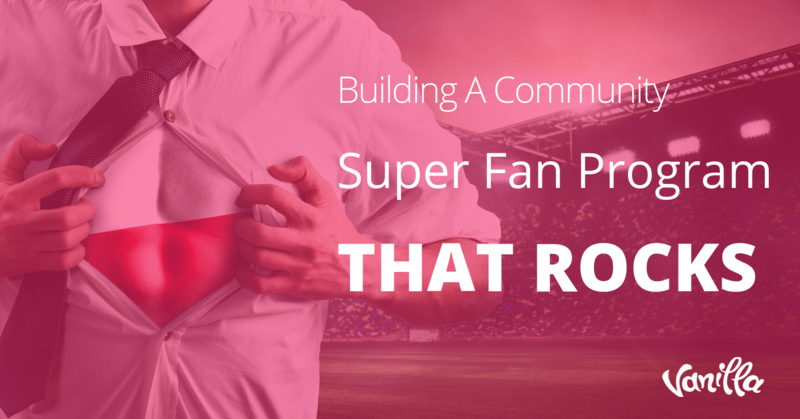 Quite simply, super fans are passionate, engaged leaders of your community, online or offline. Passion: There are folks who have a drive that outpaces other members of your community. They show up early, stay late, and love what they are doing in the community. The community helps them drive intrinsic, mentally positive rewards we may likely not know about unless they tell us. And even then, it may not represent the full story. Engaged: They are participating at larger levels than other community members, for sure. But they are present when they do. Other community members can do and reach out to them when they have problems. They know more about what’s happening with individuals and the overall vibe of the community than you probably do. Leader: Through their actions, they are helping to build the communities culture and mission. They are showing others positive and productive behaviors. They are working with you to solve problems after they occur and pushing you to fix things to avoid problems in the first place. And perhaps most importantly, they’re fearless. 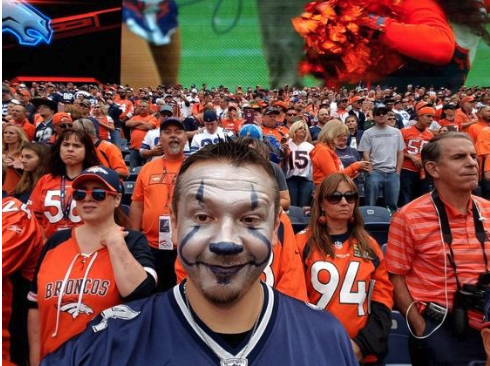 They’re people like Ricky, the Dallas Cowboys Super Fan who had no qualms wearing his jersey and face paint when he went to Colorado to see the Broncos play the Cowboys. Volunteers – their rewards are intrinsic and tangibles are random not a basis for participation. The most effective Super Fan programs are those based on volunteer efforts. Recognition happens without expectation and after the volunteer activities have been completed. Influential – Unlike “Influencers” defined above, Super Fans build their influence on the community. They take time to build credibility and presence based on time spent in the community. Leadership from the trenches – They lead from the trenches, shoulder to shoulder with the members of the community and with the company. Super Fans are leaders, motivated to do any number of tasks and challenges, and inspirational enough to encourage others to participate too. Responsive – Not only do Super Fans build a presence, there’s a consistency and speed to their participation. They show up frequently, and they engage quickly. Understanding why Super Fans do what they do is one of the most difficult things for outsiders to grasp. 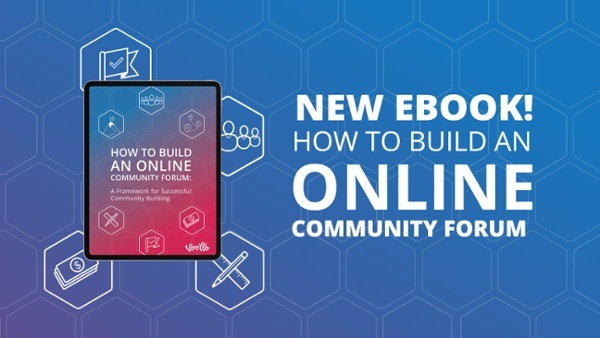 Why would anyone volunteer countless hours on a company’s community answering tech support questions, or leading online discussion groups, or simply weighing in on relevant debates in a way that helps keep things positive? Sense of purpose – Super Fans want to be part of something important, something bigger than themselves. Answering tech support questions may seem silly, but helping the mom of an Autistic child get their phone working again so she can monitor the child at school, that’s a big deal. Creating a meetup that allows busy, stressed out geeks to meet like minds and bring joy into your life, that’s important work. Identity – Becoming a Super Fan typically takes a great deal of work. Being granted the title of Super Fan in a community can help create a sense of personal identity. And this identity, like the other parts of our identity (husband, father, brother, manager, engineer) become closely held ways of how we think about ourselves. Losing this is simply not something we want to do. Personal fulfillment – Beyond the sense of purpose, there’s something more personal involved in why members become Super Fans, whether a creative or emotional or professional fulfillment. Do we have to pay them? You may be asking why this list doesn’t include anything tangible. No money, no swag, nada. And that’s right. Super Fans don’t participate because of the “stuff” they might get. They participate because of how it makes them feel. That doesn’t mean, however, that they’re not interested in getting tangibles in return for their efforts! In fact, getting “stuff” as a reward for doing great things in the community is actually seen as a sign of respect. Your company is showing them, through actions and goods, that their participation is meaningful and important. But you’re not relying on goods alone to relay that message. There’s an important distinction to remember here: this is not a quid pro quo situation. They aren’t Influencers, and you’re not paying them for “work”. In fact, your legal team is going to want you to stay far, far away from the term “work”. Companies like About.com, AOL, Microsoft, and many others have found themselves at the receiving end of lawsuits from community volunteers who claim the company treated them like employees through quid pro quo type interactions, and therefore should pay them like employees. How can we avoid these kinds of legal issues? These problems are fairly easy to avoid. Build a Super Fan program that creates excitement and enthusiasm, not merely exchanges of tangible goods. Don’t create a formal program where you promise to send Super Fans free product if they answer at least 35 questions in the community. Instead, surprise and delight them when they answer 35 questions by mailing them a handwritten thank you note and a T-shirt. Note: Be sure to include your Legal team in the development of these programs. Every company has different rules and risk tolerances, so you don’t want to get sideways with your lawyers. There are also tax implications that you will need to discuss with your Finance team. How can we best acknowledge Super Fans? 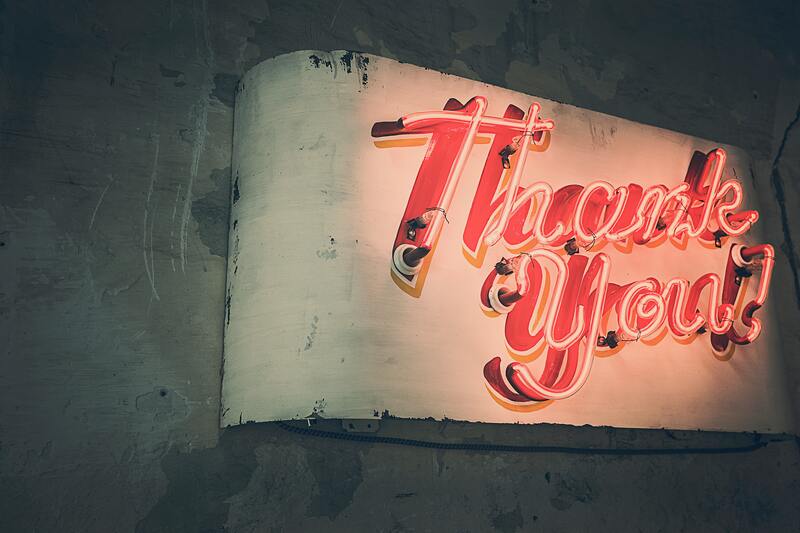 There are three key ways to recognize and reward your Super Fans, with tangible goods being just one of them. Identity – how your platform and your program displays, shares, and promotes the accomplishment of becoming a Super Fan. Privileges –specific technical capabilities, company/employee access points, and sanctioned activities that only Super Fans are able to get. Tangibles – any sort of “goods,” whether physical items (t-shirts, stickers, free product), account credits, or invitations to special events. These three are called the Incentive Stack, and part of designing an effective Super Fan program is balancing your Incentive Stack in a way that best motivates your Super Fans. In upcoming installments of this blog series, we will dive deeper into the Incentive Stack design process, so stay tuned. How do we control the Super Fans? Control is a tricky word, implying that we have an ability to dictate behavior. Super Fans are volunteers, participating for a unique set of personal reasons. Trying to control behavior is ultimately a losing battle. That said, we can and should guide Super Fans in the most positive direction possible, both for the community and for our company. Rather than control, let’s consider expectations and empowerment. Most successful communities give their Super Users functionality and authority to lead. The Apple Support Forum, for instance, gives their Super Fans extra tools to help them more easily sort new content that needs answered. Sites like Reddit enlist volunteer moderators to help keep the content on the site clean and positive. Super Fans are not “puppets” of the company, by any means. In fact, if they feel like they are puppets, or if the community sees them as such, you have a huge problem. But Super Fans are also not free agents doing whatever they want either. Brands have to give up control of message and approaches, but not governance over direction. Does a community require Super Fans? Every social group has leadership, whether intentional or accidental. 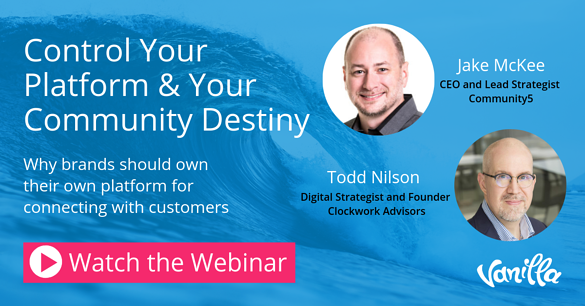 Many communities launch without formal Super Fan programs, but typically implement them relatively quickly. 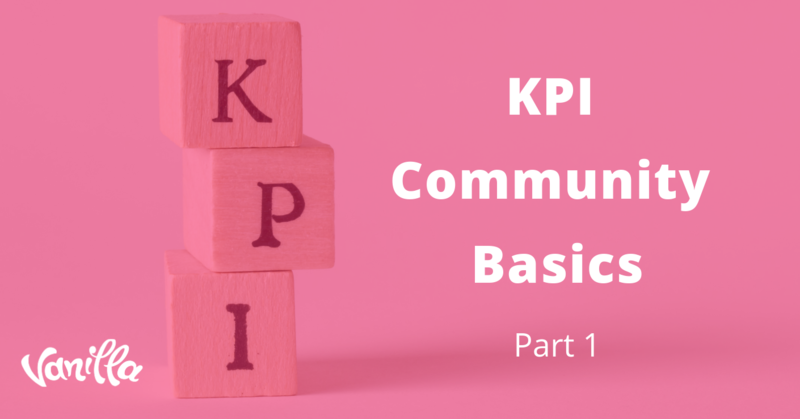 Your community certainly isn’t required to have such a program, but without one, your members lack guidance and direction that your company sets. One of the biggest benefits for companies to build Super Fan programs is that it allows a tiered engagement system. Most companies run their communities with small teams. A single community manager can’t possible hope to engage 15,000+ people individually. But they certainly can engage 15 Super Fans, for example. 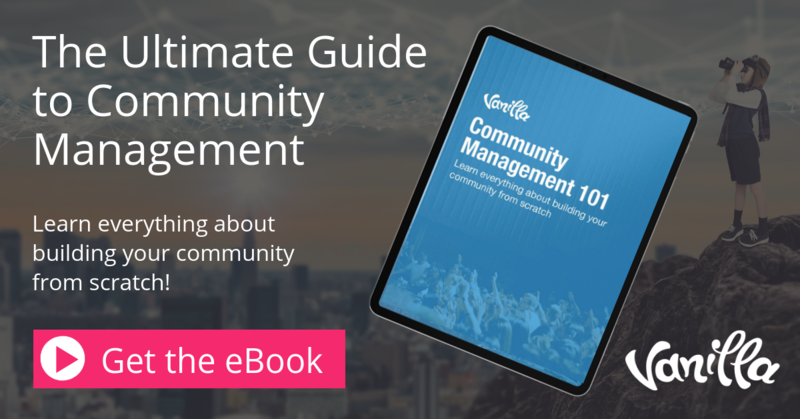 Community managers engage the 15 top Super Fans. Those Super Fans, in turn, engage 150 key members. And before you know it, those 150 people have spread the word about key issues to the entire community. Now you know what makes Super Fans tick! In our next installment of this series, we will take a look at how to build a formal Super Fan program.